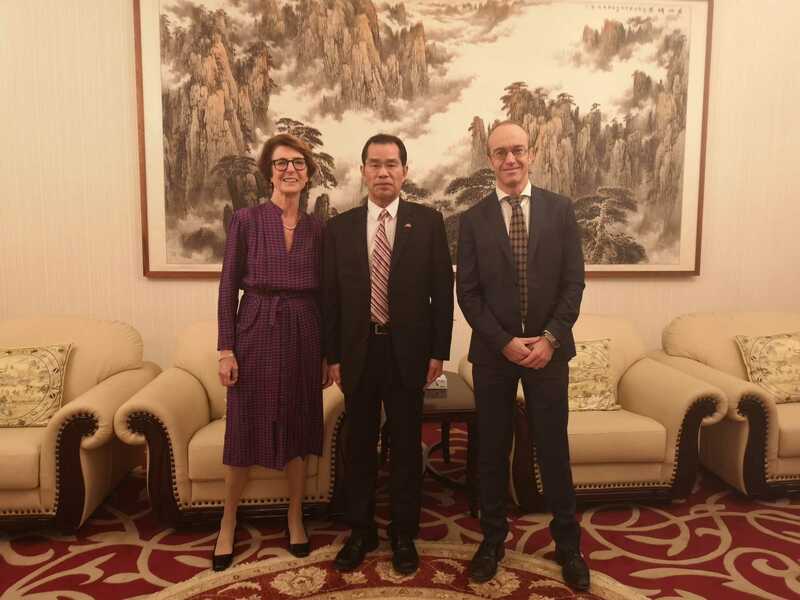 STOCKHOLM, Jan. 16(Greenpost) — Chinese Ambassador Gui Congyou visited China’s friends- former Swedish Foreign Minister Hans Blix and Dr. Andrea Andreen’s niece Dr. Magna respectively on january 16th and 15th. 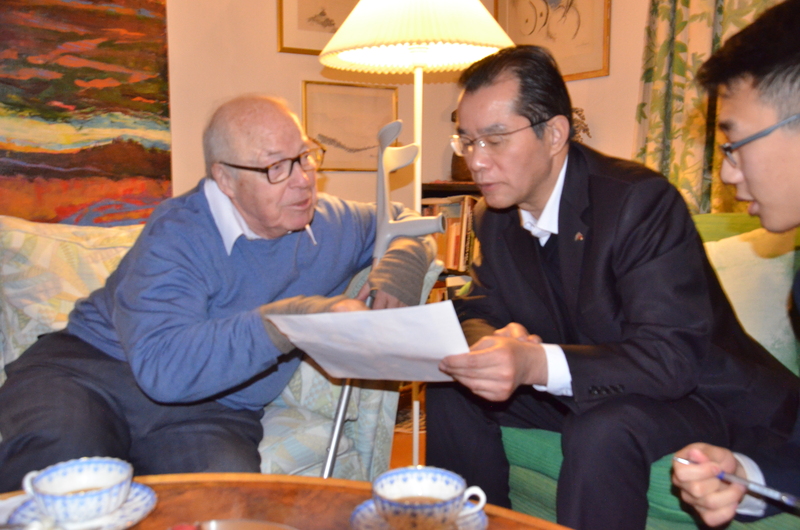 “On behalf of the Chinese government, upon Chinese Spring Festival, I like to pay a visit to you as an old friend of China and thank you for your outstanding contribution in promoting Sino-Swedish relations over the past decades and China’s development,” said Ambassador Gui to Hans Blix in the latter’s home. 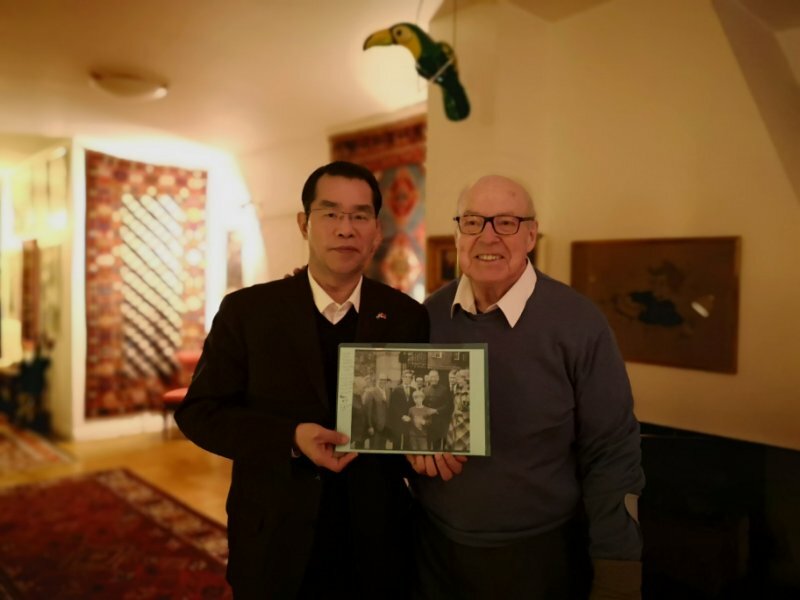 Hans Blix gave Ambassador Gui a photo which showed his meeting with former vice premier Geng Biao. Ambassador Gui said Chinese people have always remembered Swedish friendship both during the early years of the founding of the People’s Republic of China and after reform and opening up. Currently, China has entered a new important development era and Sino-Swedish relations face great opportunities. China is willing to inherit and enhance Sino-Swedish traditional friendship and make joint efforts to promote common development between the two sides. Mr. Blix said he went to China in 1964 for the first time and then after he became Foreign Minister in 1978, he visited China many times and saw China’s rapid development. In 1979, he also received then Chinese Vice Premier Geng Biao. He commended China’s achievement in lifting over a billion people to live a better life which is a great contribution to the world’s development. Hans Blix shows Ambassador Gui about his meeting with Gengbiao, then Chinese Vice Premier. By Xuefei Chen Axelsson on Jan. 16, 2018. “I’m glad to see that China actively takes part in the United Nations peace keeping missions and exert a bigger role in the international and multinational affairs, “said 90 year old Blix who is writing a new book. He hopes that China and Sweden can continue to cooperate in jointly promoting world peace and development. Hans Blix is also famous for his mission as former UN inspector for Iraq Nuclear Issue and has been engaged in peace and development as well as nuclear energy all his life. On Jan. 15, Ambassador Gui also met former Swedish Doctor Andrea Andreen’s niece Dr. Magna Andreen Sachs and her son at the Chinese Embassy. Dr. Magna showed some precious historical photos in her family files symbolising Sino-Swedish traditional friendship. Dr. Magna Andreen Sachs recalled the circumstances when her aunt, Doctor Andrea Andreen (1888-1972) visited China in 1952 and felt proud that she had done something good to China and they would like to visit China again and continue to enhance Sino-Swedish friendship. Ambassador Gui said China will never forget her old friends and likes to extend festival greetings to them on behalf of the Chinese government.